In 2017, UNHCR worked in Somalia through 11 offices located throughout the country including a support office in Nairobi. 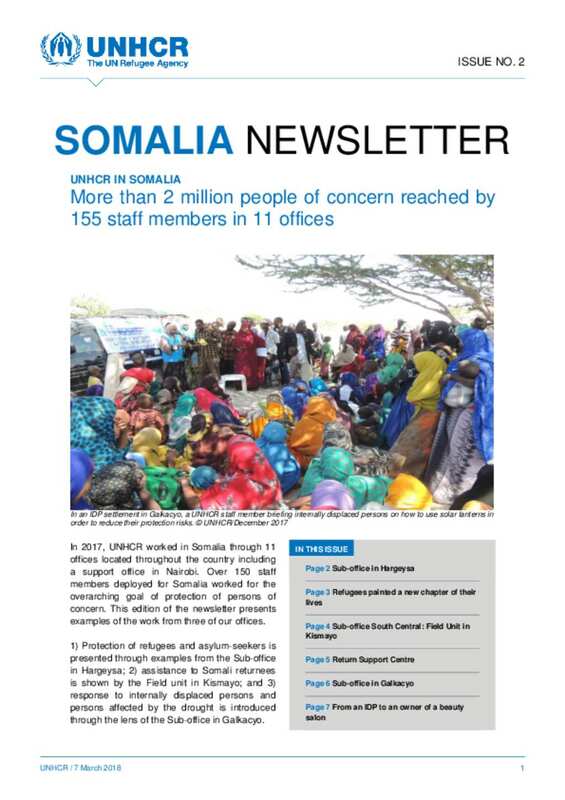 Over 150 staff members deployed for Somalia worked for the overarching goal of protection of persons of concern. This edition of the newsletter presents examples of the work from three of our offices.